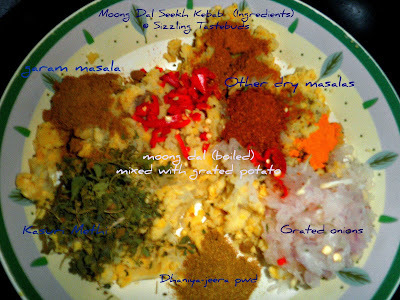 lovely clicks, btw, have u soaked the moong dal? 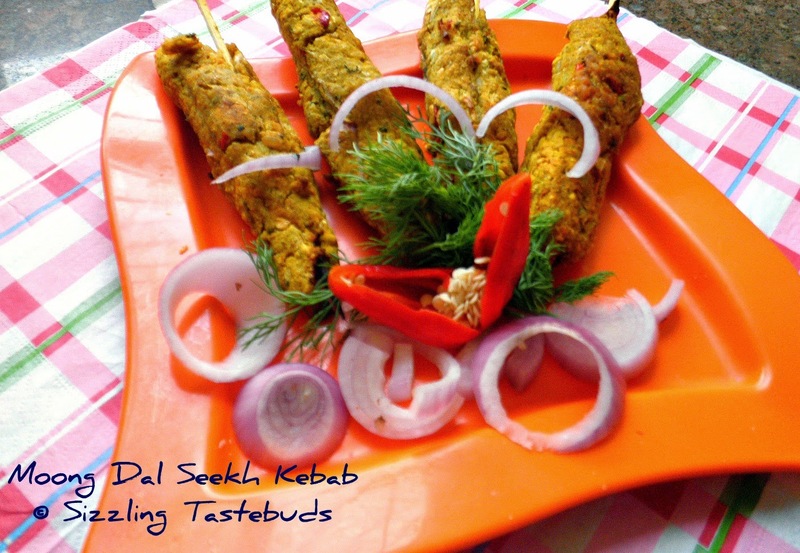 Kebabs r a hot fav with me...n make a variety of veg ones....the moong daal ones too r more or less the same...but surely v tempting n lovely clicks!! 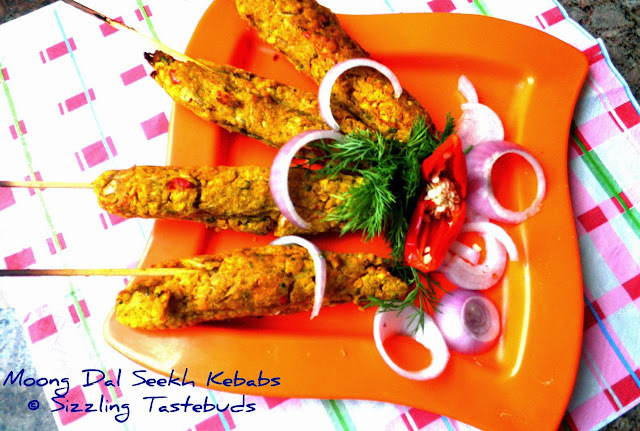 Hi Kalyani, yummy kebabs...very tempting..love your space..wonderful recipes... Am your happy follower now..:) do stop by mine sometime..
Nice one Kalyani. Good clicks too. I'm yet to try a bake version of this. Healthy and very innovative Kalyani..Lots of work has gone into that yummy kebabs.Nutrition -packed definitely ! very delicious and healthy too...well explained..thanx for sharing !!! 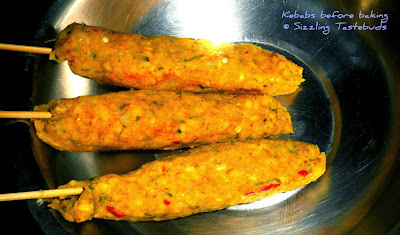 Healthy kababs, looks very tempting and truly nutritious..
Vegetarian kebabs.. oh my this is awesome.. I love this kebab, looks awesome. Very healthy and colorful ones. Somehow I have never tried kebabs to this day. Have to try your version soon. Thanks for linking to my event. 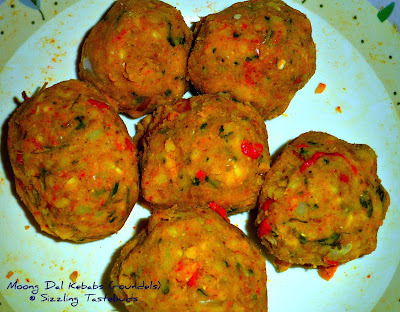 Very nice and delicious looking.. will soon try them..
Hi Kalyani. Lovely Kababs. I have bookmarked these for trail soon. I am a non veg eater and never really cared for veggie kabob. Couple of months ago, I had a visitor who was a vegetarian and tried moong dal seekh kabob. It was a flop. Will try your recipe next time. It sounds lovely.. is this yellow moong or green split ? It sounds lovely. is it yellow moong or green split ? Wow those kababs look so sinful and nicely made!